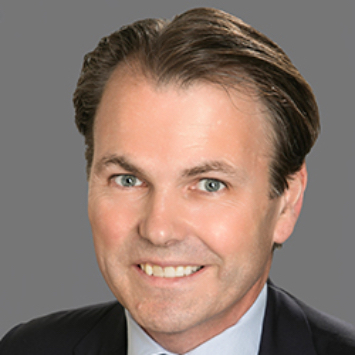 Sean Donovan-Smith is a Partner in the London office of Locke Lord LLP and a member of the Investment Adviser and Alternative Funds section of the Private Equity and Venture Capital practice. Sean is a financial services lawyer with almost 20 years’ experience in the financial services industry, having acted for a range of clients including funds, managers, advisers, and institutional investors. Sean focuses his practice in financial services and markets regulatory advice, regulatory enforcement and investigations, advising on regulated and unregulated funds and the international marketing of funds, and other financial products. Sean has developed a broad range of experience dealing with complex financial services matters including regulatory interventions/transactions, derivative and futures products, regulatory compliance, risk management, FSMA/FCA requirements and cross-border regulatory issues. Prior to entering into private practice, Sean was Associate Director of Business & Legal Affairs for INVESCO Asset Management Limited’s offshore division, and a management consultant at a specialist financial services consultancy firm. Sean is recognised in the Legal 500 for Investment Funds and speaks frequently on financial services regulatory and compliance issues. He recently served as Commissioner and Counsel for an independent commission established by the UK Cabinet Office and the Department of Culture, Media and Sport to examine expanding the UK’s regime for dormant assets. - What are the critical legal considerations for STOs currently?